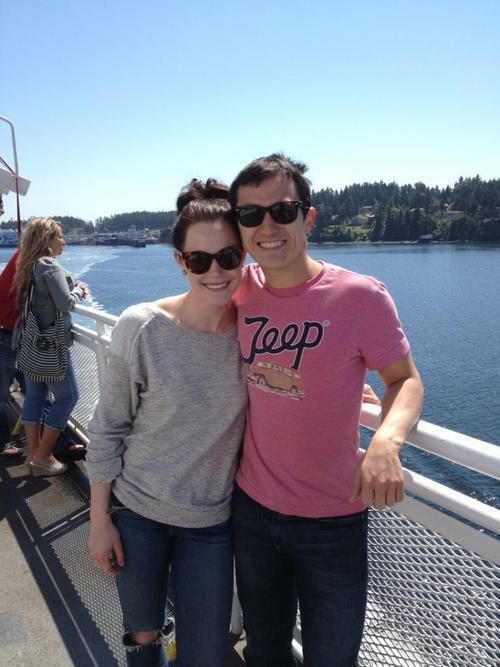 Tessa Virtue in House of Harlow Shades. When the Stars on Ice tour stopped in London a couple weeks ago, Tessa managed to squeeze in a quick visit to Saffron Road where she picked up these fabulous House of Harlow sun glasses. Looks like they came in handy when crossing on the ferry from Vancouver to Victoria with fellow Stars on Ice member Patrick Chan! Tessa was also spotted wearing this stunning Greta Constantine dress (another Saffron Road purchase) during Toronto Fashion Week! She was photographed at the Heart Truth Fashion Show (an annual event that raises awareness about women’s risk for cardiovascular disease). Be sure to check our blog again in the coming days to find out more information about an exciting fundraiser Tessa is helping host in London! Thanks for wearing Saffron Road Tessa and wearing it so well!